Bright lighting is essential for safety at gas stations, especially during the darker months of the year. Traditional canopy light fixtures rely on metal halide lamps to illuminate the area around gas pumps, but these types of lamps tend to eat up a great deal of energy and require significant maintenance. Upgrading to LED canopy lights for gas stations reduces energy costs by improving efficiency and providing light for much longer before needing to be replaced. 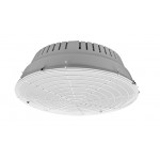 These SCRT-320 fixtures are the perfect solution to replace 175 watt to 320 watt metal halide. 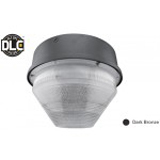 Retrofitting outdoor fixtures with LED bulbs is easy with these outdoor canopy lights. 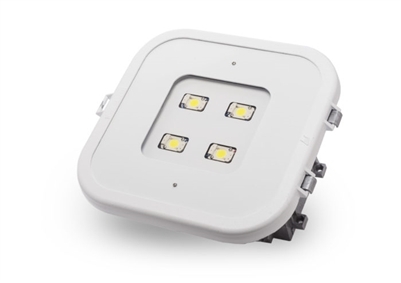 Made with rugged components, these lights are meant to replace metal halide bulbs and provide many thousands of hours of illumination. Upgrading to this 107-watt canopy lights is a smart way to save money and improve the appearance of your location. Transform your gas station into a bright and inviting oasis at the side of the highway or in the heart of town by transitioning all your fixtures to the brilliance of LED.